All yard waste is banned from South Carolina municipal solid waste landfills, according to state law. The SWA naturally recycles yard waste into mulch and compost, which is available for sale to the public. Natural Compost and Natural Mulch is sold at the landfill site for $20 a ton. Colored mulch - red, brown and black - is sold for $60 per ton. Contact Public Education at (843) 347-1651 or education@solidwasteauthority.org for details. Green Power is a renewable energy partnership between the SWA and Santee Cooper. Electricity is generated from the methane gas from the SWA landfills and used throughout homes in Horry County. Santee Cooper owns and operates the generating equipment, which runs 24 hours a day, seven days a week. 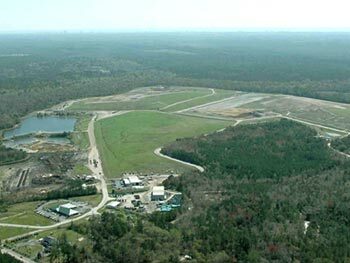 The Horry County Solid Waste Authority owns and operates the landfill, methane gas collection system and sells the fuel to Santee Cooper. Horry Electric Cooperative and Central Electric Power Cooperative supply the lines for the Green Power to travel. The Green Power Program started in September 2001 through a partnership between the Horry County Solid Waste Authority and Santee Cooper. Since its inception, the Green Power Program has expanded to include residential and commercial customers across Horry County. In 2002, Myrtle Beach became South Carolina's first Green Power City. Green power programs started in 1993 and have grown to 80 programs in 28 states. Toxic, corrosive, reactive and flammable materials present common household disposal challenges. If mismanaged or disposed of improperly, these materials can contaminate the environment. The SWA manages a Household Hazardous Waste (HHW) Facility to collect these harmful materials, free to residents of Horry County, SC. The HHW Facility is a permanent facility. The facility is open Tuesday-Friday from 8AM-1PM (call 843-458-7191 for service) and on Saturday's from 7AM-3PM. For more information, call (843) 347-1651. This service is for residential HHW material only - no contractors or contractor vehicles will be accepted. Residents may dispose of a maximum of twenty (20) gallons of paint per month. Tuesday-Friday 8AM-1PM and on Saturdays 7AM-3PM.